I am happy to report that I did finish up a couple of things yesterday. This prototype is finished. I have some tweeks I want to do for the final bag. But I do love this! I have some tweeks I want to do for the final bag. But I do love this! And I finished up these coordinating pouches as well. new zipper pouches and foldover button closure products are being added to my product line. all together...loving this new set! I sketched some product ideas for these incredibly gorgeous fabrics. swoon worthy 100% cotton cable knit fabric. seriously...so hard to not just stop everything and cut in to this! I also have this in grey! these velveteens are calling my name, but I will stick to sketching until I get some other things finished up and tag for sale. Staying on course is hard when I have this sort of temptation laying around. I managed to get a couple of aprons listed on Etsy. I also got started on two new custom quilts. They are for a brother and sister that live on the East Coast. Mom was searching for some custom quilts to match with her kids' rooms and stumbled upon my shop. We spend a ton of time emailing pictures back and forth, mailing swatches, coming up with designs. And now I am so excited to get to work on these! some of the fabrics for his sister's quilt. the front will only use two fabrics, but the back will use about 10 different prints. so the quilt will be reversible. 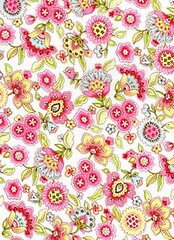 I also have to make a custom Emma dress with flutter sleeves using these gorgeous organic cotton fabrics. Well, I'd better get back to the work. Hopefully, I'll have some pictures of more finished items to share with you in a few days. Wishing you all a lovely day and hoping you'll find some time to be creative! Today, I'd like to share some sewing class project pictures with you all. I'll start off with some pictures of my student's projects. I always love how individual the projects turn out. Everyone has such different taste in fabrics and fit. So I love working individually with them to select the perfect fabric for them and then to make modificatons to the patterns/designs so they each student ends up with a completely custom look and fit! Here are some pictures of student's projects from a Amy Butler Madison Bag Class. This is a fun bag because of its unique shape and it goes together pretty quckly. My students love how they get a fun surprise of contrasting fabric when they open their bags! Again, look at how unique each bag turned out even though they all used them same fabric. Here are some pictures of student projects from the Amy Butler Sunhat Class. Two ladies used laminated cotton so that their hats can be used in the rain. I am looking forward to making myself a few of these for the beach and for gardening! 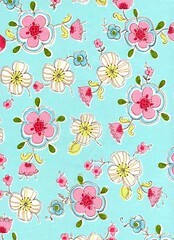 As cute as the sunhat pattern is, it does call for too much fabric! So I taught my students how to cut out the fabric differently from the layout on the pattern so they could end up with a large piece of fabric that could be used for another project. We decided on a simple tote. Finally, here are several pictures from my last basic tote bag class. This is one of my favorite beginner classes. Again, all students customize their look with the fabrics they choose based on their tastes and the intended use of the bag. And they are always excited to leave class after 2.5 to 3 hours with a finished project that they can enjoy right away! Okay, that's enough picture sharing for today! I'll be back soon to announce the winner of last week's giveaway! And, of coure, to share more pictures!